spiling ink and love: Conrad! It's July first which means that I have a little over a month to start planning for Conrad's 2nd birthday. HOW FUN! Of course we are going with a dinosaur theme, that's a given. I've been searching around everywhere for some great decorating ideas and fun things for all the kiddos to do. FYI for anyone coming: it's going to be held Sunday August 8th Place & Time are undecided. I really loves these colors and those cute bags! I thought this fossil cookies idea was awesome! 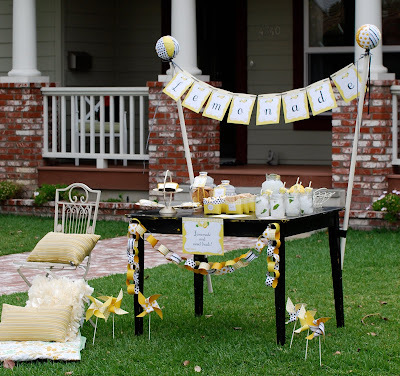 I'd love for anyone to send me any cute decorating and party ideas. Anything from party favors and decorations to snacks! EDIT: I just realized that Glenrose Texas is a 2 hour drive from here. Glenrose has this awesome dinosaur park that I remember going to when I was a kid. Why haven't we gone there yet?! Summer trip I say! And we should definitely swing by the Dr. Pepper museum in Dublin on the way. I can't wait to have kids so I can plan amazing birthday parties for them! Fossil cookies are very cool, and I love that last pic of the cake. Dr. Pepper Museum??? So cool! YES! I love dr pepper! I'm so excited! Such wonderful photos! I hope you create something beautiful! I can't wait to see!